Genealogy is not a mad rush towards Charlemagne. It is a slow path, filled with frontier brush, Southern sweat, and New England winters. Instead of leading to castles and mansions, that path often leads to one-room cabins, coal miner’s shacks, and urban tenements. And it leads to the people who made the fabric of this nation, either by harvesting it in the fields, weaving it in the mills, selling it the general store, or saving to earn the money to purchase it. 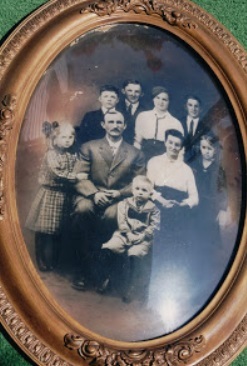 The obsession with research leads others to ask who were my great-grandparents? What impacted their lives? What historical events beyond their control shaped them in ways that I can’t really imagine? And what records did those people leave behind to give me some glimpse into their lives? 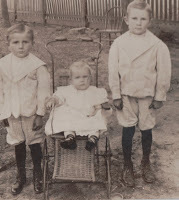 Ralph, Nellie, and Cecil Neill–about 1911–near Stillwell, St. Albans Township, Hancock County, Illinois–probably taken on whatever farm Charlie Neill (their father) was renting. The author’s grandfather is on the right. The search for those records can take a lifetime, even in the era of the internet. It’s not just about the search for some obscure document that makes a connection or finding as much material as possible. Genealogy is not the accumulation of capital. It is about stitching documents together, fleshing out the unwritten clues in the records, and weaving the written and the unwritten together into a story that is based upon sound research, sound methodology and yet is engaging to the reader. The difficulty for those who strive to accurately document their heritage is that many of those who lived their lives outside the bright glow of fame do not always leave the amount of records that makes telling their story easy. 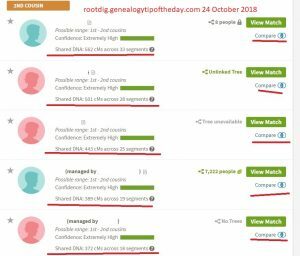 Family history research is about being as accurate as possible–not so much because that’s the right way to do it (which it is), but because telling our ancestors’ stories accurately honors their lives. Sloppy and hasty research, thirty-second conclusions, and mere data collection with the intent of “getting as much as we can and as far back as we can” does a disservice to those who came before us, even the ancestors whose lives are ones we may choose not to emulate. Would we not want our own stories told as accurately as possible? Would you want someone in one hundred years confusing you with your deadbeat cousin of the same name whose never worked a day in his life, been arrested more times than he has fingers and has children with women in three different time zones? 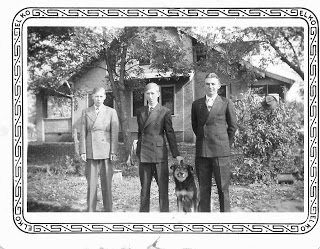 Alvin, Leroy and John H. Ufkes–taken on Fred Ufkes farm east of Basco, Hancock County, Illinois, probably late 1930s The author’s grandfather is on the right. Some researchers desire to make that royal connection and establish their family tree back to the ancient royal houses of Europer. That’s never been my interest. My interest is in making connections that are as accurate as possible. Does that mean I have a few relatives born in the 1840s that are my “brick walls” and for whom I may never find out much more? Yes. I hear people lamenting their “farming” ancestors and how their ancestors are all boring, etc. To adequately research my farming ancestors, I have had to learn about state and federal laws, historical trends, migration patterns, women’s rights, agricultural practices, naming patterns, sociological trends, and historical details for more locations than I can count. Sometimes I’m glad my ancestors are all somewhat homogeneous as it cuts the learning curve. Family of George and Ida (Sargent) Trautvetter, taken around 1916. The author’s grandmother is on the far right. Will your descendants think you, your occupation and your lifestyle are boring and not worthy of any study at all? There are no boring ancestors–just researchers who’ve not yet gone beneath the surface. I absolutely love this! Sharing the link to my Facebook page if that’s alright with you. 🙂 I’ve gotten quite mired down (& a bit bored) with the research lately as I am nearly homebound so online repositories are all I have at this point. However, I’ve invested in a “genealogy do-over” & I am determined to milk every last drop of information out of the records I can find before I charge too far ahead with others. This blog reminded me why I fell in love with this process in the first place. I’m glad you liked it. Feel free to share the link and good luck with your continued research.